The chocolate season in Italy has started. Yes, there is such a thing as I have learned over the years of living in the Bel Paese. Italians tend to eat chocolate only in cold seasons and after Easter they seem to switch to chocolate ice cream. Who would want luscious rich melt-in-your-mouth addictive cocoa goodness all year around? Not Italians as it turns out. However, there is an Italian city where you can indulge your chocolate cravings any time of year. Often called the European capital of chocolate, Turin is a heaven for us, chocolate lovers. The royal house of Savoy started Turin’s love affair with the sweet delight when, according to historians, the Duke of Savoy Emanuele Filiberto brought some cocoa beans home from Spain in the 16th century. By the 17th century, bourgeois families were enjoying hot chocolate served in elegant cafes all over the city. With the 18th century arrived technological advances that allowed production of solid chocolate and local workshops were churning out over 300 kilos a day. France, Austria, Belgium, Switzerland and Germany loved Turin’s chocolate and sent their chocolatiers to the city to learn the secrets of the trade. Many artisan chocolate makers still use centuries-old recipes that are kept secret. 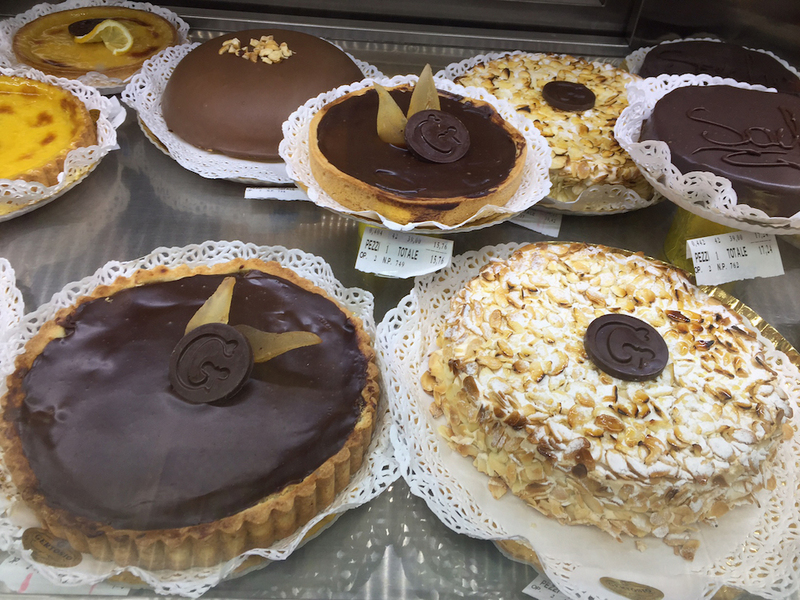 I asked many locals about the best places for chocaholics in Turin and did my own thorough research that sent my blood sugar levels skyrocketing. Here is a list of my favourite, most delicious addresses in the city. Address: Via Lagrange 1, 10123 Turin; tel. : 00 39 011 56 607 07. Opening hours: Monday 3pm – 8pm, Tuesday – Sunday 10am – 8pm. Address: Via Cagliari, 15/b, 10153 Turin; tel. : 0039 011 24 762 45. Opening hours: Monday – Friday 8.30am – 12.30, 2.30pm – 6pm, Saturday 8.30am – 12.30pm. Closed on Sunday. The new generation chocolatier, Guido Gobino is famous for his meticulously researched ingredients, love of high quality single-origin chocolate and sleek modern packaging. He is often called “the giandujotto king” for skilfully combining the traditional recipe with innovative techniques that results in exceptionally delicious wide range of giandujotto chocolates made only with Piedmont hazelnuts. His other signature product, Cialdine Bitter Extra Blend, travelled to space in 2013 as treats for the astronauts on the mission. If you are after unusual flavours try Gobino’s tiny ganache chocolates with Barolo, vermouth, lemon and cloves or eucalyptus (flavours change with seasons) or cremino al sale with hazelnut paste, sea salt and olive oil. Address: Via Maria Vittoria, 27/C, 10123 Turin. Step inside this small sleek chocolate boutique to discover delightful creations of another local young chocolatier who is committed to sourcing only ethically harvested cocoa beans. Maestro Castagna uses his own slow delicate method to make excellent chocolates that have won him many international awards. He believes that chocolate, like wine, requires time and matures it for at least 6 months before turning it into exquisite products. Connoisseurs will appreciate Castagna’s raw chocolate Madagascar and Venezuela bars. Address: Piazza Carlo Felice, 69, 10123 Turin. Opening hours: Monday 3 – 7.30pm, Tuesday – Saturday 8am – 8pm. Closed on Sunday. Entering this family-run shop is like stepping back in time. 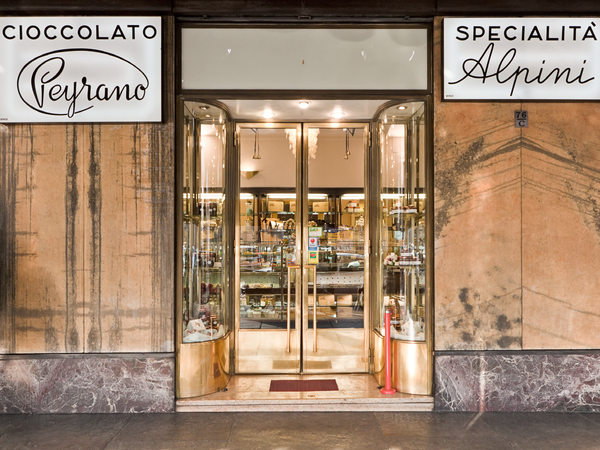 Filled to the brim with sweet delights, A.Giordano is famous for its award-winning Giacometti, a delectable mix of chocolate and hazelnuts shaped strictly by hand into little rough pyramids. Their original creations include Alpinluce chocolates filled with sweet wine Erbaluce di Caluso and Preferiti ricoperti, local cherries soaked in maraschino liquor and hand-rolled in chocolate. Address: Corso Vittorio Emanuele II, 72, 10121 Turin. If you are a hot chocolate connoisseur, head to this elegant historic café, which serves the most decadent rich drinks flavoured with liquors or topped with whipped cream. 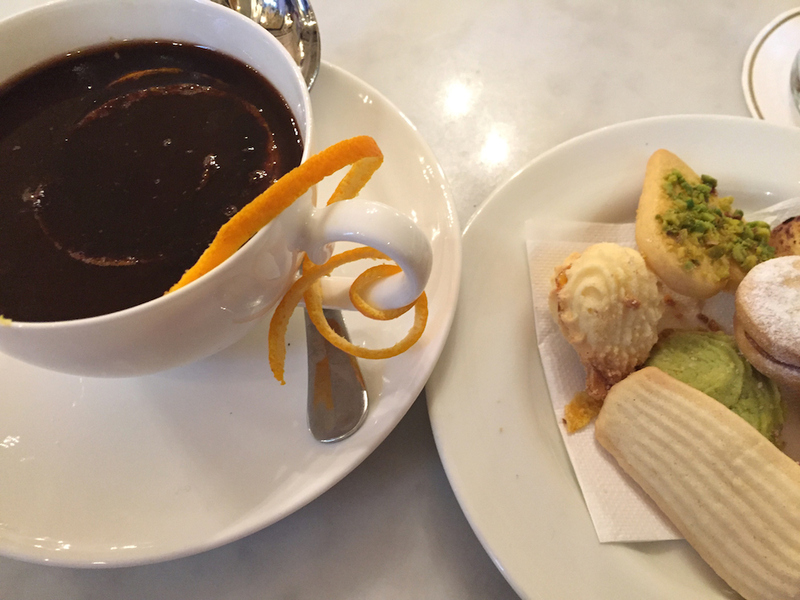 I loved their hot chocolate with Cointreau and orange peel that arrived accompanied by a small plate of exquisite bite-sized biscuits and a glass of fizzy water (in case of a sugar overdose or just to clean the palate before digging into a slice of cake). Not cheap at €6-7 a cup, but it is certainly worth it. A household name in Turin and Italy, Peyrano has been making chocolate since 1915. One of their signature products is the classic alpino with a hazelnut cream and grappa filling made to a secret recipe. Their giandujotto antica formula, hugely popular with locals, has a high percentage of hazelnuts and a unique subtle smoky flavour that comes from the olive tree wood used to roast the cocoa beans. Another locals’ favourite is the Torta Peyrano, a cake filled with chocolate cream, orange marmalade and coated with dark chocolate. For a Willy Wonka experience, book a guided tour of the Peyrano chocolate factory on Corso Moncalieri via their website.